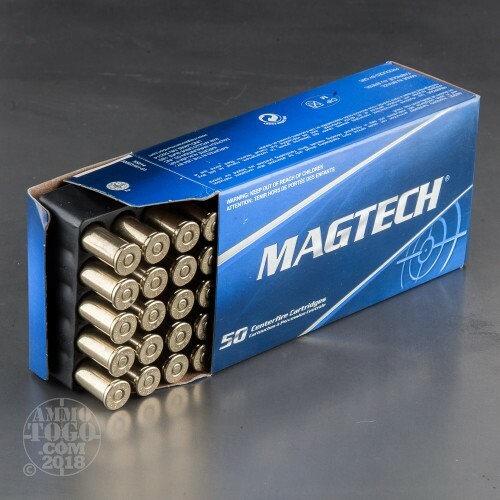 These semi-jacketed soft point (SJSP) rounds from Magtech make great carry ammo and can even take varmints when fired from a lever-action rifle. 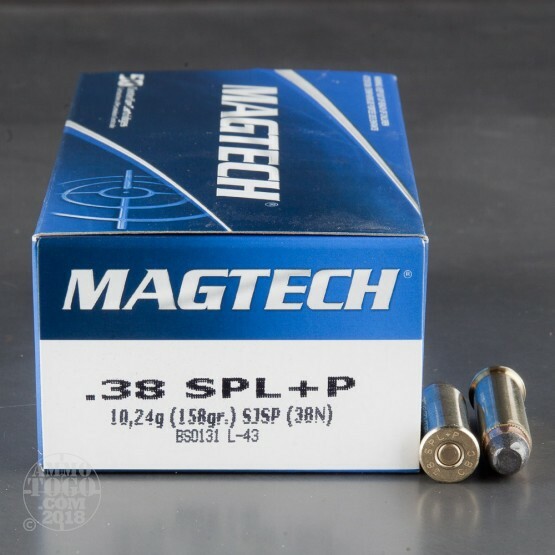 Each of these .38 Special cartridges is assembled using a reloadable brass casing, a non-corrosive Boxer primer, and a precise measure of high-energy propellant. The SJSP projectile itself weighs in at 158 grains and sits in front of a +P pressure charge; this configuration nearly resembles the "FBI Load" which had an excellent street record for stopping threats when revolvers were common law enforcement sidearms. The SJSP's minimally exposed tip and toothed cannelure cause the bullet to experience a controlled rate of expansion on impact with an emphasis on deep penetration. 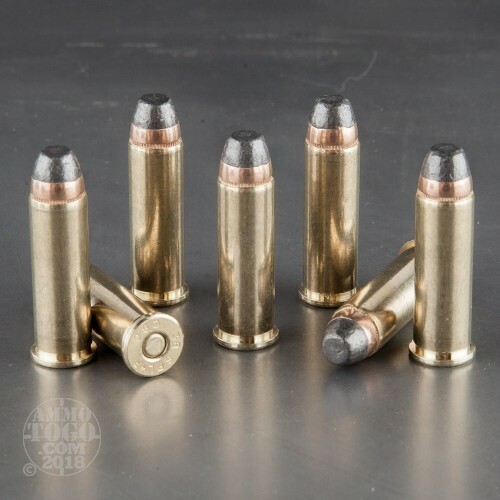 During entry, the bullet's growing diameter will cause it to slow and yaw without fragmentation while delivering all of its energy to the vital zones of a threat or varmint game animal. This results in a quick, humane drop with little chance of over-penetration. The projectile's curved ogive promotes smooth insertion into a cylinder while the flat nose makes it safe for use in a tubular magazine. Each round's copper jacket covers its base for reduced lead fouling and a higher degree of accuracy. 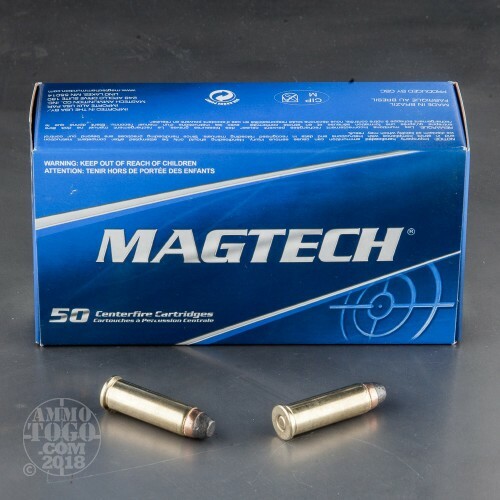 Magtech ammunition is made in Sao Paulo, Brazil using 90 years of experience in manufacturing and international outreach. The brand is known for quality, dependable function, and legacy loads built from proven data.